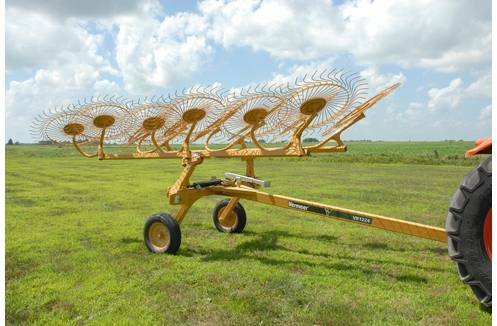 The VR1224 carted wheel rake gives you the capacity, strength and wide-stance balance and posture you need for a heavy diet of hay, starting with the very first cutting. 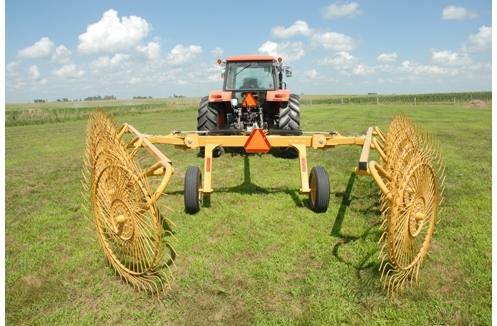 This ruggedly reliable rake cruises across the landscape to get you in and out of the field fast. 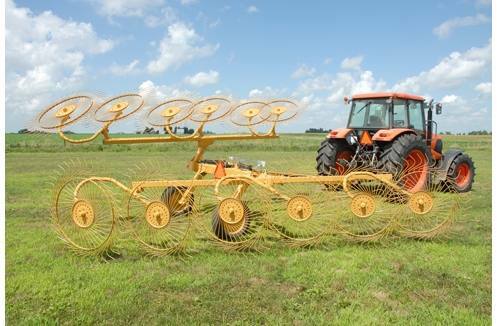 The VR1224 can be easily adjusted for single- or double-sided raking, and a uniquely designed center splitter attachment option improves windrow dry down and moisture content balance. 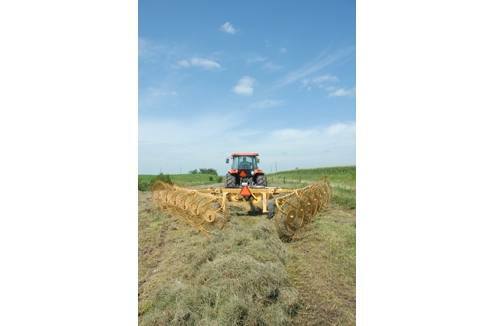 The telescoping toolbar can be easily adjusted to set the windrow width to fit the intake of your baler. 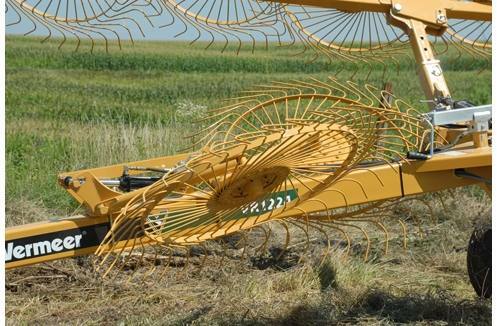 Easily adjustable windrow width to conveniently fit the intake of your baler. Single- or double-sided raking is quick, convenient and easy. 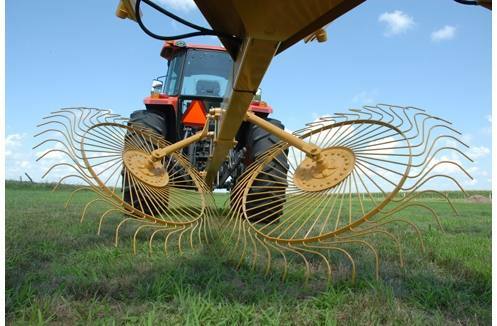 Uniquely designed center splitter attachment helps balance windrow moisture content and improves dry-down.